ORLANDO, Fla. – A big year awaits travelers to Orlando, Theme Park Capital of the World®. 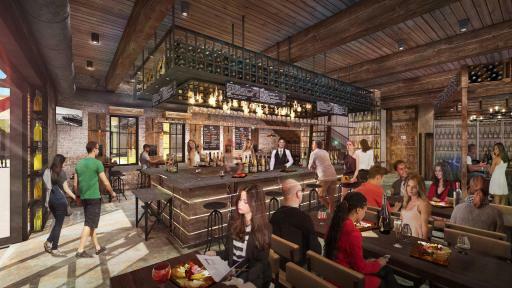 Thrilling new attractions will launch guests further and faster than ever, new resorts will feature additions like future-forward “smart rooms” and rooftop lounges for firework-watching, and unique new dining experiences will arrive, ranging from a Master Sommelier’s wine bar to a 100 percent all-vegan deli. Visitors can get continuous updates on new attractions as well as planning tips, tickets and discounts at VisitOrlando.com, the official visitor information source for the destination. Fast & Furious - Supercharged at Universal Studios Florida will take guests on a high-octane adventure into the world of underground racing, right alongside stars from the Fast & Furious films. A new nighttime show is coming to Universal Studios Florida, replacing Universal’s Cinematic Spectacular-100 Years of Movie Memories. 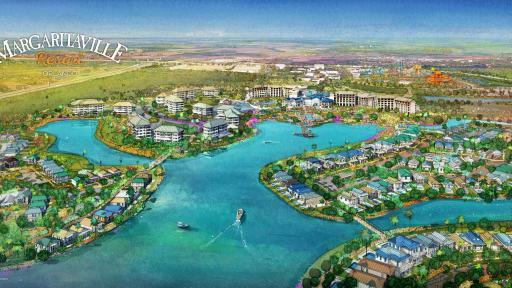 This new lagoon show will feature animated characters, a new storyline, lighting and special effects. Infinity Falls, a new rainforest river rapids ride, is coming to SeaWorld Orlando in summer 2018, featuring the world’s tallest river rapid drop. 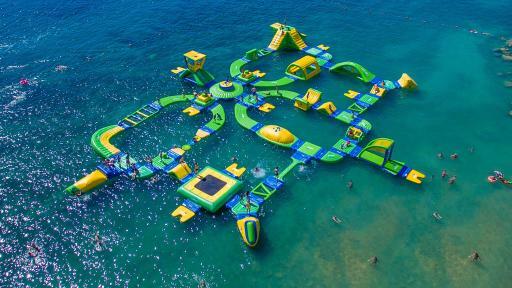 Ray Rush will provide three new ways to slide, splash and soar at Aquatica, SeaWorld's Waterpark. With wild water jets, a colossal water sphere and swoops into giant manta wings, the raft ride is scheduled to debut in spring 2018. 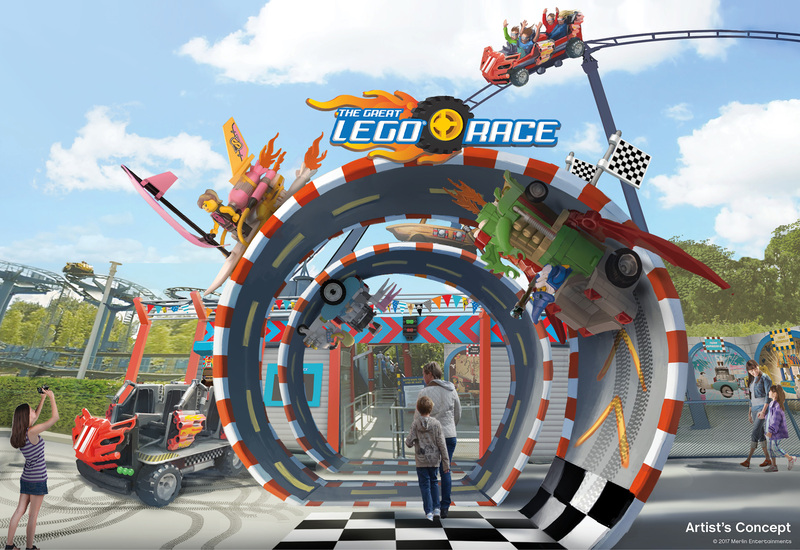 The Great Lego Race VR Coaster will debut as the first virtual reality roller coaster designed for children. 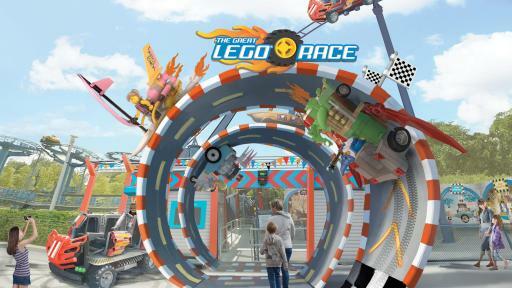 It will open in place of the Project X roller coaster at LEGOLAND Florida Resort, re-imagined with a new story plus special effects. LEGO NINJAGO – Master of the 4th Dimension will debut Jan. 12, 2018, at the LEGO Showplace Theater at LEGOLAND Florida Resort. The new short film combines 3D computer animation with 4D real-world effects, for an amazing new ninja adventure. 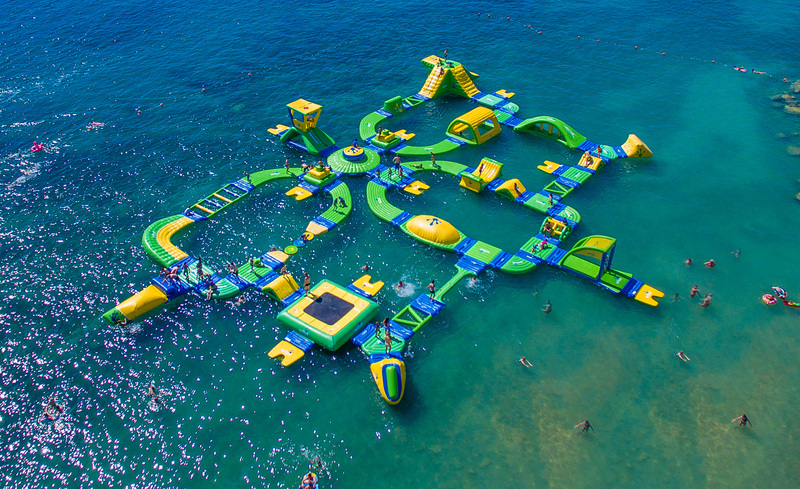 Nona Adventure Park will be a new water-sports park featuring an inflatable, floating obstacle course, wakeboarders pulled along by cables and a 60-foot climbing tower with a ropes course. The park is scheduled to open in summer 2018 in the Lake Nona area of Orlando. 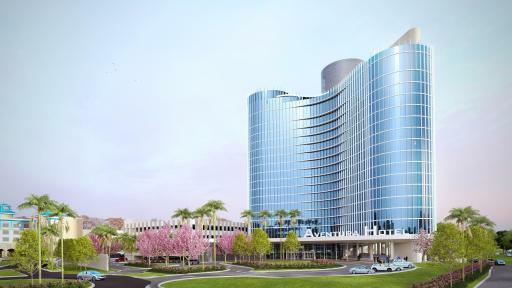 The Delaney Hotel, a 54-room boutique hotel in the Sodo district of downtown Orlando, will offer unique high-tech conveniences for guests such as remote check-in, digital tablet-based concierge services in every room, smart phone room keys and smart TVs. It is expected to open in March 2018. 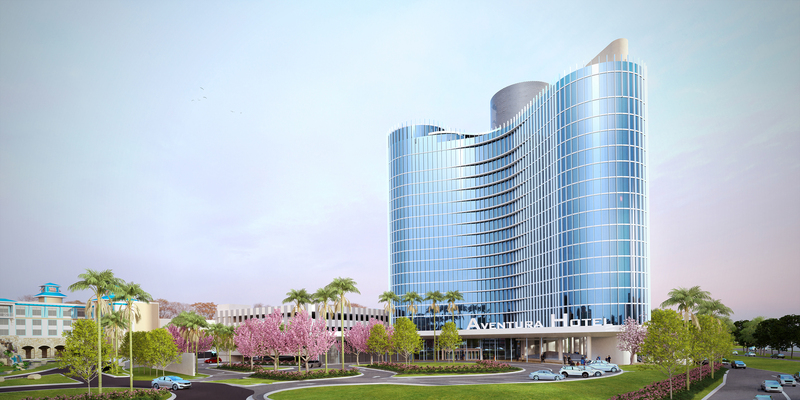 Universal’s Aventura Hotel, a new value property and the sixth onsite hotel at Universal Orlando Resort, will feature a 16-story gleaming glass tower with 600 guest rooms, including 13 kids’ suites, and the first-ever rooftop bar and grill on Universal property. It is expected to open in August 2018. 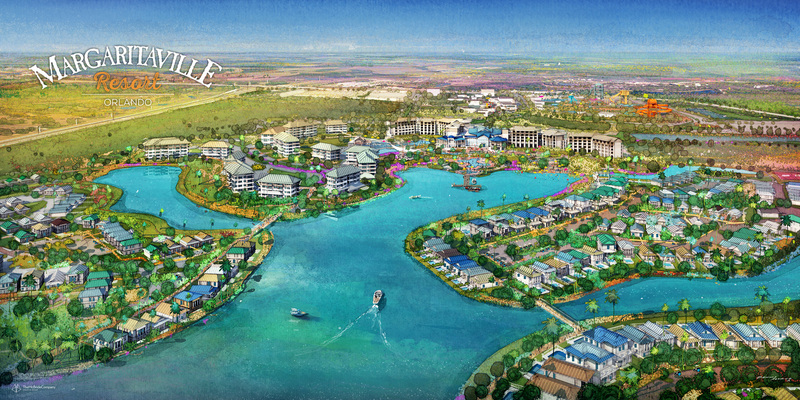 Margaritaville Resort Orlando, a new waterfront destination resort, will feature 175 rooms, 1,000 Margaritaville-themed vacation homes and 300 timeshare units. 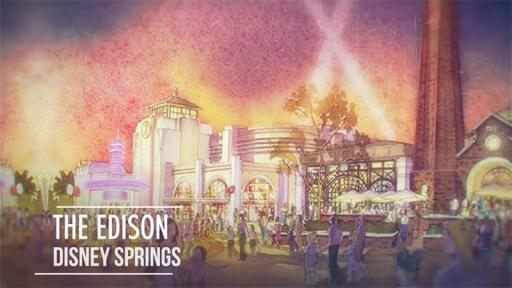 A new dining and entertainment district is also planned, along with a 12-acre water park, a wellness center, and more. It is expected to open in 2018. Disney’s Coronado Springs Resort, the largest of the six convention hotels at Walt Disney World Resort, is expanding in 2018 with a new 15-story tower of 500 additional rooms, a new rooftop restaurant and lounge atop the tower with panoramic views of nighttime fireworks and new meeting space. JINYA Ramen Bar, a modern Japanese restaurant featuring authentic ramen along with a variety of tapas dishes, is expected to open in 2018 in the Thornton Park neighborhood of downtown Orlando. Heirloom Deli will open as an all-vegan restaurant in spring of 2018, where everything from drinks to bakery items will be 100 percent plant-based. Visit Orlando is the official tourism association for the most visited destination in the United States and, together with its 1,200 member organizations, represents the area's leading industry. Visit Orlando is responsible for branding, selling and marketing the Orlando destination worldwide, and serves as the official visitor information source.